Come one, come all to a magical event, full of Holiday wonder and little bit of terror! 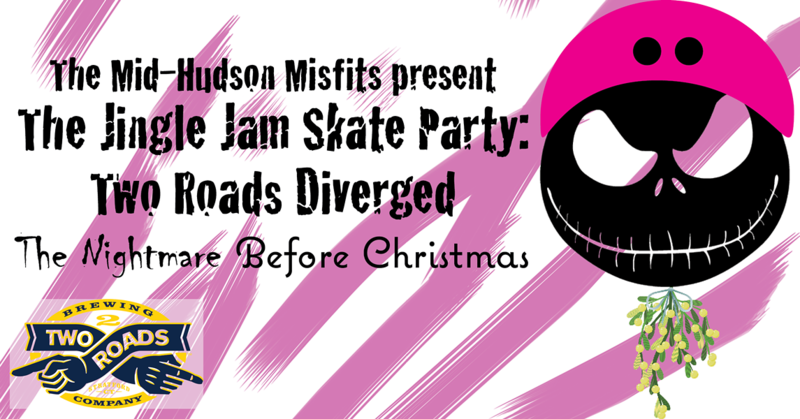 The skaters of the Mid-Hudson Misfits and Two Roads Brewing Company would like to invite you to a winter skate party unlike any other. Come dressed in your cheeriest (or scariest) holiday getup. Play games with the skaters of the Misfits and have yourself and jolly ol’ time. This is a benefit for Toys for Tots, please bring a new and unopened toy for donation.